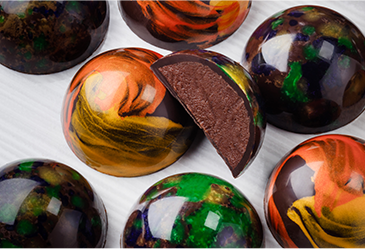 AAK is a global leader in supplying specialty vegetable fats and oils to the chocolate and confectionery industries, with a true legacy in confection experience and expertise. We were the first to develop cocoa butter substitutes over a century ago, and we continue to create and innovate in many ways, such as being the first to offer non-hydrogenated specialty fat solutions to the confectionery industry. We offer a wide variety of custom-made solutions including cocoa butter substitutes and cocoa butter equivalents for compound coatings, as well as confectionery fats for fillings, inclusions, caramels, and ice cream coatings. 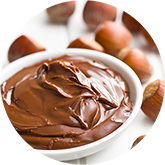 A new customer came to us with a challenge: they were experiencing separation during shelf life in their chocolate nut butter spread. By closely examining the existing spread’s fat crystallography, we identified the culprit: the fatty acid composition of the oil they were using didn’t have the right relationship with the rest of the spread’s ingredients. We partnered with the customer to solve this complex technical challenge. Through a series of testing protocols and evaluations, we were able to recommend a new oil blend that prevented separation and ensured that both the composition and the sensory panel feedback were just right. 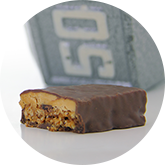 A customer wanted to remove the emulsifiers in the coating on their nutrition bar to present an overall clean label. They still needed the coating to perform with the same functionality, but without artificial, chemical or unrecognizable names like ‘sorbitan tristearate’ on the label. The customer sent us a sample of their existing coating and we got to work, analyzing its behavior and matching its gloss, shelf life, integrity, and sensory attributes. Our non-hydro product was able to match specifications regarding melt point, crystallization and fat content. Even better? The label can now read ‘vegetable fat’ instead of ‘sorbitan tristearate’. A prospective customer was in quite a dilemma—they had a supply chain issue and no one could answer their needs, especially due to the compositional and functional demands of their unique fat blends. We established a deep ‘technical to technical’ relationship to understand the customer’s production parameters, which was critical in developing a fat blend to match the customer’s specifications, as well as the finished product’s functionality. Since the success of this solution, we have worked on numerous new co-development projects together. 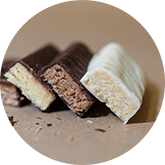 Our customer wanted to increase the protein in their enrobed confectionery bar, but off-the-shelf products they had tried did not meet their texture and taste requirements. They needed a high protein compound coating with great functionality, that did not sacrifice texture or taste. We thought outside the box to create a co-development project team including the customer, a protein company, a flavor company, a compounder, and AAK. Together, we created a new product that delivered on each of the customer’s critical attributes and was a testament to the success of our co-development approach. 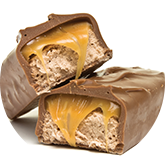 AAK has the non-hydrogenated, no trans solutions for your most challenging real-world confectionery applications. You can rest easy knowing that with PHO 2.0, our next generation of PHO-free solutions, your product will perform—and taste—just as good as it always has, with a consumer-friendly label. We help you meet today’s consumer and legislative requirements without sacrificing quality or turnaround time. Our high-performance compound coating and filling fats provide great results. Our new state-of-the-art facility in Edison, New Jersey features a collaborative confectionery lab where we work together with you to co-develop innovative solutions that meet and exceed your desired attributes, for a successful finished product. AAK’s brand of high performance fats used for compound coatings. Cebes line of fats are typically made of fractioned palm kernel oil and can be offered as non-hydrogenated, zero trans and low in saturated fat. AAK’s brand of fats based on palm kernel and coconut oils. Neutresca features several non-hydrogenated filling fats. They can also be used in ice cream coating applications. AAK’s brand of high performance filling fats. Confao line of fats are offered as non-hydrogenated, zero trans and low in saturated fat. AAK’s brand of fats used for chocolate flavored and pastel coatings and drops. Silko line of coating fats are available in a wide range of melting points. AAK’s brand of Cocoa Butter Equivalents. Illexao line of fats have the same physical properties and triglyceride composition as cocoa butter. AAK’s brand of 100% cocoa butter retards migration and heat-related bloom—extending shelf life by up to 400% depending on recipe, processing and formulation.